Given how many businesses fail in the first three years of existence, any business crossing the 10 year boundary is quite an achievement. Converged Technology Group recently celebrated just such an event, and celebrated not with cake and punch—though that may have been involved—but also with an expansion of its operations in New York City. 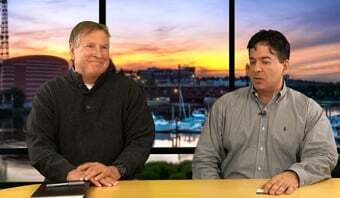 Converged Technology already was a name to be reckoned with throughout the Northeastern United States, and so its plans to expand both its sales team and its professional services team in the city made some sense. As a managed services partner (MSP), it's won several awards for its operations, and thereby appears to be capitalizing on earlier gains. Leo E. Galletta, who serves as the company's president and CEO, cited the company's “solid reputation both in New York City and on Long Island because of the unique consultative experience we provide to our clients.” With that experience, Galletta further explained, Converged Technology can offer a variety of benefits, including better agility in the market and faster responses to potential issues, along with reduced risk—faster responses generally contribute to less risk—and the ability to better respond to issues than competitors can generate. All of this comes with substantial opportunity for growth, and growth requires new help to make sure the best growth is achieved. This in turn led to Converged Technology seeking out and finding new help in driving that growth. For New York City, this is particularly important; with so many different firms working in the region, there's plenty of room for a solution that offers better response time and an edge against competition. 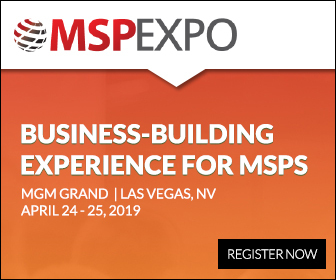 MSPs in general have some terrific opportunities these days, and that much is quite evident with the arrival of the MSP Expo event. Colocated with the ITEXPO (News - Alert) event at the Broward County Convention Center in Fort Lauderdale, and running from January 25 – 28, the event gives others in the MSP field the opportunity to see what products and services will be coming out into the market, as well as opportunities to hear from thought leaders in the field. Converged Technology, meanwhile, seems to be striking while the iron is hot; it's celebrated 10 years of operation, it's made a name for itself, and it's following that up by expanding its operations. MSPs in general are often making some exciting propositions for business, and that means opportunity for not only those who need an edge against competitors, but for those who want to provide that edge. That's where Converged Technology can really step in and win in the market, and it's making moves of its own to make that happen. Converged Technology may well see another 10 years of operation thanks to this combination of factors.